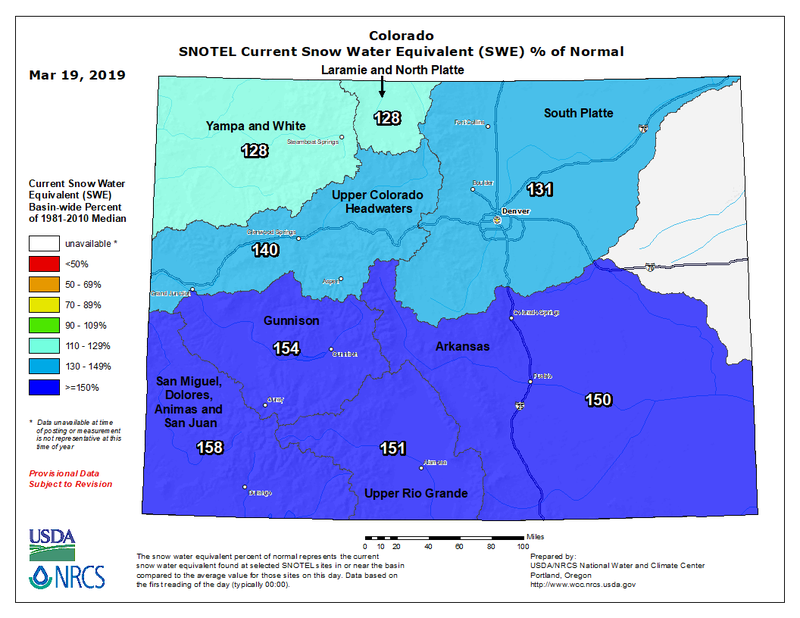 The 2018/19 Winter season began with most of Southwest Colorado in an exceptional drought. 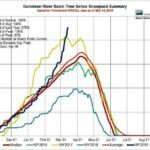 A late start to snowfall was discouraging until things changed at the end of December 2018 when the jetstream began favoring the four corners region. It has been snowing ever since. 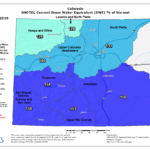 The current snowpack is 154% above average. Although Spring is in the air here in Gunnison country, WE HAVE SNOW and LOTS OF IT! 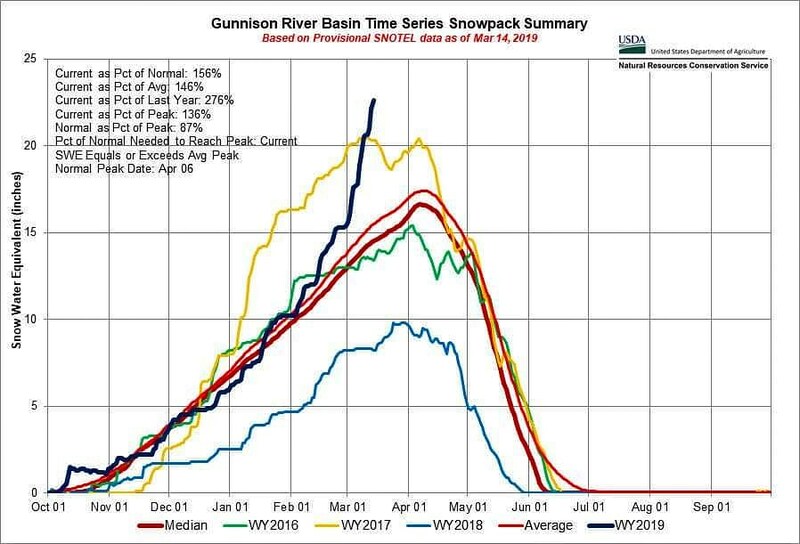 The much-needed snowfall this past Winter means that the reservoirs will have plenty of water this year ... now it's the waiting game. When will Ice off happen? It is anybody's guess at this point, but what is for sure is that Spring and pre-runoff fishing is perhaps the best of the year for hungry, trophy sized, trout bite... We hope to be trophy lake trout and brown trout fishing within the month on Blue Mesa, the latest I have ever seen boats launch on Blue is April 27th. So, we are optimistic about a mid-April start. On Morrow Point we will try to launch the boats on May 1st, this can seriously be the best fishing in the state that week. 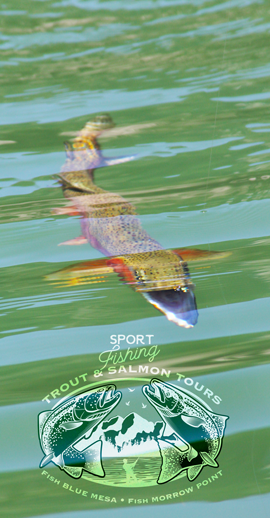 These fish are hungry, very gullible and very catchable... COME FISH PRE RUNOFF with us! Check out some fishing highlights video clips from Morrow Point HERE. Contact Ryan VanLanen to book your Spring 2019 fishing trip HERE.